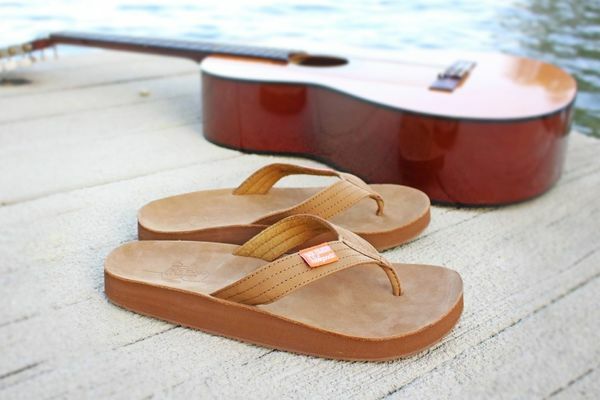 Earth-Saving Flip Flops : "flip flop sandals"
In the spirit of Earth Day, the Jack Johnson by Feelgoodz line of flip flop sandals was announced. 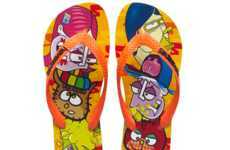 Johnson's eco-friendly flip flops include a special version of the Feelgoodz Slimz sandal for women, which prominently features artwork from Johnson's 'From Here to Now to You' album. 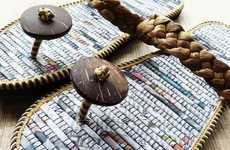 There's also a style for men available, but the plain brown Kinderz is artwork-less. Only 2,500 of each style will be produced and all of the proceeds from sales of the Jack Johnson by Feelgoodz collection will go towards environmental education through the Kokua Hawaii Foundation, a nonprofit organization started by Johnson and his wife. 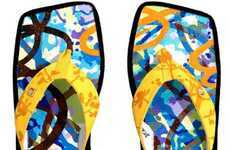 The flip flops will be available online through Feelgoodz, as well as on Jack Johnson's site and during his tours. 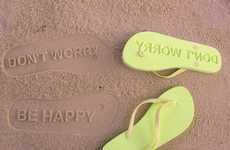 Interest: 1 minutes	Concept: "flip Flop Sandals"